When it comes to luggage for the frequent traveler, it’s safe to say that a pilot’s opinion would be a good one to trust. That’s exactly who is behind the Travelpro brand. Back in 1987, a Northwest Airline 747 pilot invented The Original Rollaboard wheeled luggage. That invention transformed the way we travel, making it so much easier to get around with luggage in tow. Since then, the brand has expanded to offer more than just suitcases. They offer garment bags, executive computer briefcases, rolling duffels, totes, and backpacks. 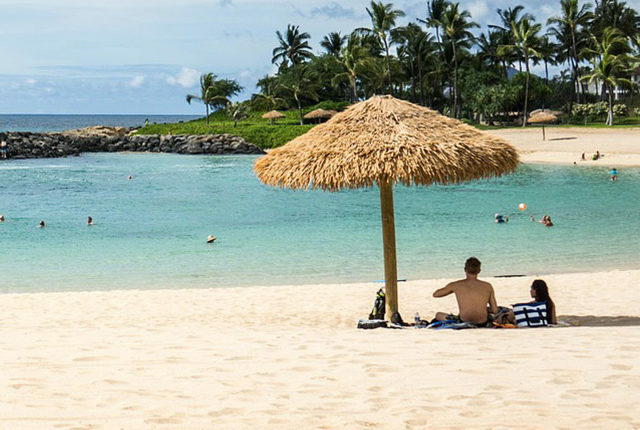 Priding themselves on design innovation and durability, Travelpro puts all of their offerings to the test at their headquarters, located in Boca Raton, Florida. They use the testing facilities at their headquarters as a way to ensure every customer receives a high-quality product, whether you’re part of a flight crew or you’re just a regular traveler. In fact, they use a testing process that replicates real-world usage, so they can get a true grasp on how their products will hold up over time. 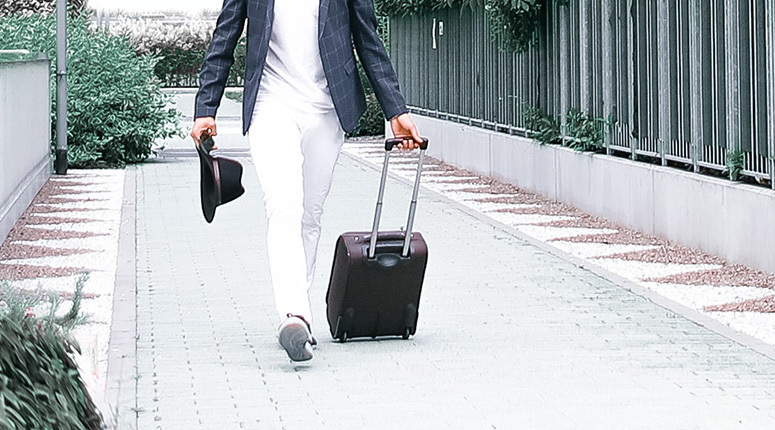 Not only is all of their luggage tested for quality and durability, but they keep style top of mind as well. 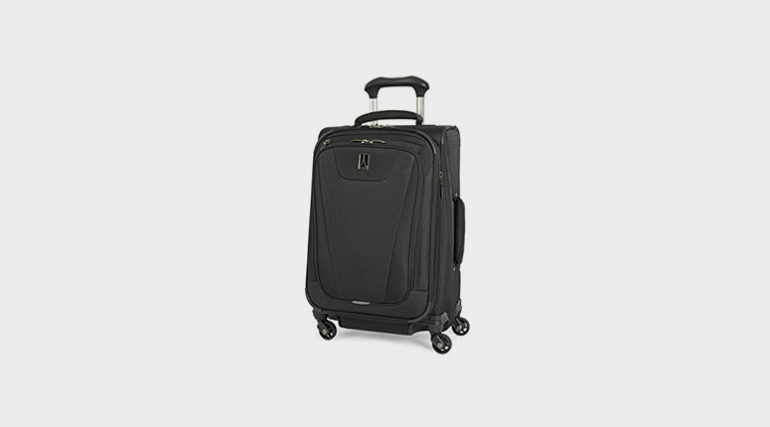 One of the popular suitcase models from the brand is the Travelpro Maxlite 4 Expandable 21-Inch Spinner Suitcase. It provides style, durability, and function that any frequent traveler would look for in a quality suitcase. To learn if this bag is right for you, keep reading for our review of its key features and its value. The first thing to note about this bag is that it contains a fabric outer shell, which comes in a variety of colors. You’re able to pick the one that best suits your style! There’s no need to be worried about the quality of the fabric either because it’s very durable and water repellant. One feature you’re sure to love has to be the four 360° spinner wheels. They allow the bag to easily be maneuvered in any direction, making travel a breeze. The crash-guard wheel housings also provide some extra protection, especially when on tougher terrain. The extendable handle with Travelpro’s patented contour grip provide comfort and control when you’re pushing or pulling your suitcase around. There are also carrying handles you can use when picking up the bag. The full-bottom tray that the Travelpro Maxlite 4 contains is another thing that’s worth mentioning. This tray helps to align and stabilize the wheels, providing both durability and easy movements. What’s great about this tray is that it won’t add too much weight onto the bag either, meaning it’s still comfortable to transport. If you find that you’re always stuffing your suitcase to the brim, you’ll love the extra wiggle room this expandable suitcase provides. 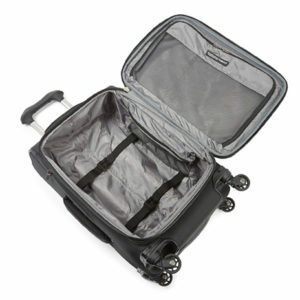 Travelpro added a tapered expansion of up to two inches, allowing you to have more flexibility when packing. Combined with an already roomy main compartment, it’s sure to fit all of your belongings. The weight of the Travelpro Maxlite 4 is approximately 5.9 lbs, making it rather lightweight. If you’re looking for a bag that’s easy to transport, this one just might be it. 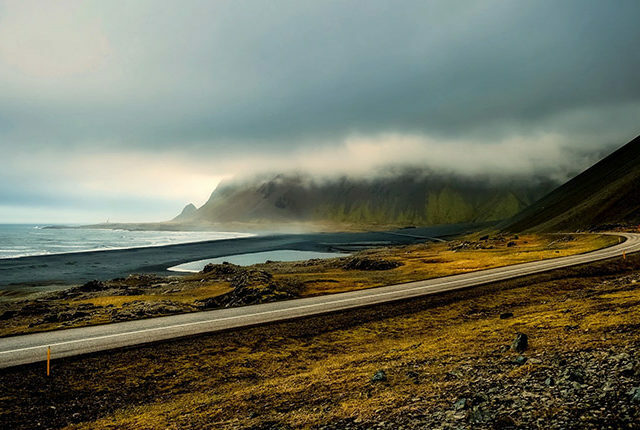 It shouldn’t be too much of a strain on you as you bring it along on your travels. With an extendable handle, carrying handles, and spinner wheels, it’s easy to maneuver. Although this bag has a more compact size, allowing it to fit into overhead compartments, it can still hold plenty of belongings. Its dimensions come in at 21 x 14 x 9 inches. There’s also a two-inch expansion, which provides you with some more room in the main compartment. Inside the suitcase, you will find a full-size lid compartment that’s perfect for storing pressed shirts. There are also mesh pockets on the side that can hold smaller accessories so they don’t get lost. You can even utilize the hold-down straps, which keep everything in its place during your travels. There’s also another exterior zip pocket on the front, which is great for easy access to your things. The Travelpro Maxlite 4 contains four wheels, as opposed to only two. One of the great things about a four-wheeled suitcase is that it provides some extra stability. Some of the two-wheeled suitcases are prone to tipping over because they aren’t properly balanced. With four wheels, you won’t have to worry about this happening. The wheels all spin in full 360° rotation. This means that each wheel is able to spin in any direction you wish. The suitcase can be moved from front to back, as well as side to side. This is designed to provide ease in movement when traveling with your suitcase in tow. Movement is totally effortless with this bag, making it a breeze to get around with. One thing to note is that the wheels on this suitcase are not retractable. Some suitcases have retractable wheels so they take up less space in storage. That’s not the case with this bag, but you should be able to fit it into overhead compartments with ease anyway. As mentioned previously, Travelpro puts their luggage through some rigorous, real-world testing to ensure the durability of their products. In fact, the quality testing procedures they use are quite thorough, including: zipper open/close wear test, fabric tensile strength test, fabric abrasion test, extension handle open/close test, carry handle jerk test, extension handle lift test, wheel system roll test, temperature testing, cold crack drop test, water repellency test, product stability test, and fabric color stability test. For a suitcase that goes through so much testing, you can feel pretty confident that the Travelpro Maxlite 4 will withstand the test of time. And that’s exactly what you want in a suitcase. The last thing anyone wants is for their luggage to break while traveling. Overall, the construction of this bag is quite excellent. The fabric feels very durable, so it should last you a long a time. It also has a water repellant coating, both inside and out. This means that it’ll keep all of your belongings safe and dry, even when traveling in the rain. The handle, which contains Travelpro’s patented contour grip, feels sturdy. It’s not at all wobbly, so it’s very comfortable to use. The 360° spinner wheels move with ease and are quite tough as well. 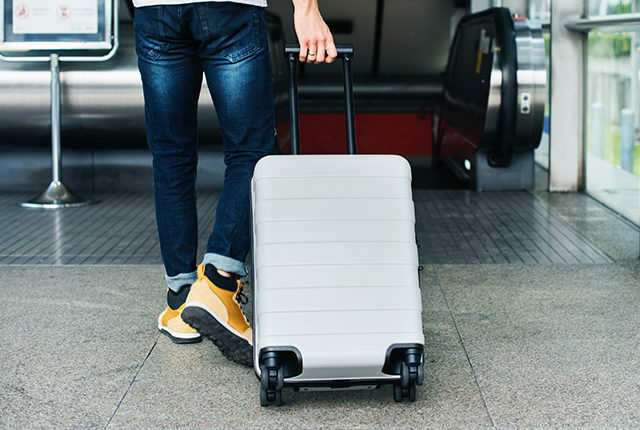 The durability of the wheels is crucial in rolling suitcases, as they need to be able to stay on and perform properly throughout traveling. And finally, the framing system at the bottom of the bag is pretty impressive. There’s a full-bottom tray to enhance stability when using the bag, but it also provides extra durability without adding too much weight and bulk to the bag. Designed to fit into overhead compartments, this bag is smaller in size. However, that doesn’t mean you won’t have plenty of room to store all of your belongings. The main compartment has plenty of space, plus the two-inch expansion will really come in handy. Plus, you’ll find handy zip compartments inside that are great for keeping your things organized. You’ll also have the functionality of four 360° spinner wheels, making travel easier with their full range of movement. This bag is truly designed to make your life easier when traveling. Its quality and durability provide travelers with tremendous value and give you the confidence that the suitcase will last a long time. It’s safe to say the Travelpro Maxlite 4 is a great option for frequent travelers. For someone who is on the go a lot, you need a bag that’s going to withstand traveling with no noticeable wear and tear. That’s exactly what Travelpro is promising with their line of luggage due to the rigorous testing each suitcase is put through. When a bag can hold up against rough traveling, it’s well worth the investment. The Travelpro Maxlite 4 might not have any high-tech features, but it’ll get the job done for your next flight thanks to strong wheels, sturdy handles, durable fabric, and plenty of room to store everything you’re bringing along. Interested in buying the TravelPro Maxlite 4?